Unless you spend an extended period of time abroad, you have probably not given much thought to the idea of becoming a mindful traveler. Before coming on this trip I know that I hadn’t. Spending time in a foreign culture has pushed me out of the tourist mindset and inched me closer to the attitude of a local. If I had to classify myself by one of Slimbach’s criteria, I would categorize myself as a ‘carefree drifter.’ I have attempted and will continue to attempt to move from this phase, but there are several obstacles that stand in the way. Attending an American school it can be very easy to separate from the local community. There are only a small handful of Swiss students, so it can be hard to meet people in the local culture. There is a language barrier that also makes interacting with locals difficult. This is not to say that I cannot become more involved in the local community. Over the next couple months I want to push myself outside of my comfort zone to get involved. One of the ways I plan to do this is through our school’s odd jobs program. It connects students with locals in the community to help them out with any sort of job they may need. Students have helped with anything from tutoring to dog walking. This could be a fantastic way for me to get more interaction with individuals in the community and help move further from the ‘carefree drifter’ stage. As I look back on the definition that our class put together for a global community, I think certain aspects were overlooked. We said, “A global community is comprised of all living things who make up smaller communities that are conjoined by the desire to achieve human rights.” With this definition we attempted to be so all encompassing that I think we left out some important ideas. The aspect of community is what defines this. Whether it is a local or global community there is still one thing that remains. There is a desire for relationships and connectedness with your surroundings. As Slimbach discusses this could be in a variety of ways, possibly social, spiritual, or ecological. The connectedness to the surroundings is one aspect that I feel separates a ‘carefree drifter’ from a ‘mindful traveler.’ The carefree drifter can live in the area and follow the customs, blending in with their surroundings. However, the mindful traveler becomes part of the community. 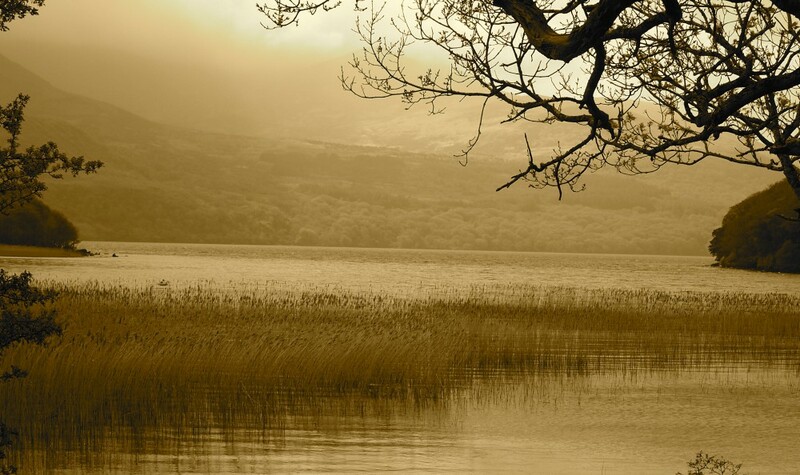 The relationships elevate them from simply being in the surroundings to being part of the surroundings. This is not a simple task and it takes a large amount of time and energy to truly be in the state of a mindful traveler, however, that state abounds the most rewarding experiences. The picture I chose to sum up my mindful traveling expresses th e difference between touring and traveling. When you tell people that you are studying abroad it is not uncommon to hear responses like “have fun on vacation.” This response elicits the confusion between touring and traveling. As Slimbach states, “Travel is school for life, one that generates fresh insights and unforgettable memories” (p. 75). My goal over the next several weeks is to push further away from the idea of existing among the community and strive to become part of it. By making this jump I will be able to develop a deeper understanding of what it means to be a part of a global community. Travel Log 5 “Conversations” Brenda Kittredge, Lugano Switzerland. Developing a deeper understanding for your host culture allows you to feel more immersed in the environment, but also show more respect to the people around you. That is exactly how I felt after my meeting with Sophie. Sophie helps to organize some of the events for the school with the local community and was happy to answer some questions for me. She was raised in Switzerland and has lived in here most of her life so she has a good understanding of the culture. One of the areas we focused on was formality vs. informality. It can be seen as simply as the way people dress. The Swiss people are very formal. It is a bit more relaxed in the Italian part of Switzerland, but in both the French and German parts it is even more ingrained in the culture. Unlike back home, you do not leave your house in sneakers and sweatpants unless you are actually going to work out. It is important in the culture to dress a bit more formally. If you walk downtown, you will certainly see numerous men walking around in suits and many women dressed up in heels to do some shopping. There is formality in the way you address people as well. The language itself has more levels of formality for simple greetings. “Ciao” many be the way that you greet your friends, but when speaking to someone older than you or that you don’t know, you should greet them with “Buon giorno.” This is done purely out of respect, as a considerate gesture of formality. We also discussed the concept of independence vs. dependence. Swiss society as a whole is far more independent than American society. It is easy see on a daily basis. On my walk to class I will see children seeming to be as young as five or six years old walking to school alone. This is something that would never be seen back home. Obviously, there needs to be consideration given to the fact of safety, which does not pose as much of a factor here as back home. However, society at large in Switzerland puts much more emphasize on independence. Sophie told me stories of walking to school alone when she was seven and staying home alone when she was six. Children are expected to be much more independent and bear much more responsibility at a young age. Another topic she discussed was the schooling system. The somewhat traditional American way of going to college right after high school is not typical for the Swiss. Only 25% of the youth in Switzerland go to college and most of the rest begin intensive apprenticeship training for their career. There is less of a gap for young individuals to try new things and figure out what they want to do and more of a focus on getting into the workforce and establishing yourself. An idea that likely stems from the focus on independence in Swiss culture. One of the most interesting topics we talked about was equality vs. hierarchy. Sophie gave me an explanation about the political system in Switzerland. Switzerland operates under direct democracy. This means that any change within the country comes from the people. If the population is able to get a certain number of constituents to petition for a change the governing bodies must consider it. For example, a few years ago a large group of constituents motioned to make the minimum wage in Switzerland $25/hour. Since enough people got behind the idea it was put to a nation wide vote. Ultimately it was not passed, but it provides an example of how change in Switzerland comes from the bottom up. This provides the feeling of having importance in the society. The lack of hierarchy allows citizens to feel as though they have a say in what happens to their country. Sitting down with Sophie gave me not only a better understand of how certain cultural practices work, but also the reasons behind them. Sophie was able to share personal experiences that gave me insight into the impact that these culturally identifying factors have on the locals. When I think of local communities that I have not gotten involved in on campus, greek life comes to mind. Coming into college I had numerous negative stereotypes of what greek organizations were and ideas of what joining one would be like. The longer I have spent around these organizations, the more I have seen some of the amazing individuals involved and some of the wonderful things they do. It is easy to have preconceived notions and not take the time to dive deeper and understand things. However, when you take the time to get to know people for who they are and not just how they appear, you develop a new understanding of what it means to be human. Before embarking on this walk, I wondered how it would benefit me. I had already been to the main part of town several times and figured that I had a relatively good handle on my surroundings. However, after taking this walk with an individual native to the community and truly observing my surroundings I began to see things in an entirely different light. Ariane is a partner of mine from one of my classes so I inquired if she wouldn’t mind showing me around the city for a bit. Taking a guide on this walk gave me a new perspective and taught me about several of the simple nuances of the area. We began our walk at campus and made our way into the center of town. The walk to town and some time spent observing people in the town gave me a good idea of interactions here. From what I observed and have experienced so far, the Swiss people are reserved. They are friendly, but are not boisterous or loud in any sense. The population as a whole is on the older side. In our first week here we learned that quiet hours for the town begin at 22:00 and are strictly enforced. After that time it is illegal to be making excessive noise and all members of the community follow these guidelines. Being respectful and considerate of those around you is an important part of Swiss culture. Despite being in the center of town I felt as though I was in no danger. I have not felt unsafe at any point in my time in Switzerland. Of course, it is important to take precautions, but crime does not seem to be prevalent in this area and I have never felt in danger of being pickpocketed or in the way of physical harm. A factor contributing to this could be that there is no shortage of money in Switzerland. One aspect of Switzerland that is noticeable without even looking at price tags is that it is expensive. The downtown area is dripping with shops like Prada, Rolex, Versace, and numerous expensive boutiques. The streets are crawling with Porsches and Ferraris; it is not uncommon to see at least 10 on my short walk back from class. Lugano is an affluent, but truly lovely area. On our walk we found a McDonald’s and stopped in to see how it would differ from its U.S. counterpart. I felt as though I had stepped into a restaurant rather than a fast food chain. There were chandeliers hanging from the ceiling and large bay windows opening up to views of the water. It was far more expensive that the States but also much nicer. My favorite part about this walk was learning about all the small things unique to a culture that can be easily overlooked. During the walk we passed a dog and when it came close to me I was about to pet it. Ariane informed me that it is considered rude to pet someone’s dog in Switzerland. Dogs are trained to be very tame and approaching them in a public setting is considered inappropriate. This walk did serves as a teacher, but in a different way than I anticipated. . Slimbach states “To become familiar with the spaces that people occupy is to learn something important about their lives even before meeting them personally” (p. 184). There was far more to this exercise than finding your way around or exchanging local currency, this exercise was about people. By taking the time to observe the small things you get an understanding of what makes the people tick. You began to see how we are all unique, but connected by the common thread of humanity. The travel novel I choose to read, The White Spider, was the harrowing tale of the first climbers to ascend the north face of Eiger, one of Switzerland’s most treacherous mountains. The novel took you through the trails and tribulations throughout the climb, but what stood out to me in this book, much like on my walk was the people. I started the book thinking it was about Heinrich Harrer’s great accomplishment but ended it respecting the effort of the group and the bonds that they formed on their journey. the gondola ride through Venice and the tiny back streets that we found, but I will look back more fondly on the three hour dinner we had just talking and getting to know each other after a long day of exploring. Travel Log 4: “Studying Abroad…It’s More Than Just a Walk in the Park” by Jared Walsh. Barcelona, Spain. I chose to go on my walk alone. I’ve been surrounded by most of my friends for the majority of this trip and needed some alone time—I wanted to experience the city for myself. I left my apartment building and took a right towards the market. Already I could tell the difference from the first time I left the building until now. I walked a little more confidently, feeling like I fit in more. The market is covered in graffiti, something here that is viewed as beautiful and artistic rather than dirty. It’s an open-air market with nearly one hundred stalls of local vendors selling vegetables, cheeses, meats, wines and fish. I passed by the many locals, all of them shopping for this evening’s dinner. Everyone keeps their head down and doesn’t really make eye contact with anyone else. I turn right and enter the main square surrounding my neighborhood, Placa del Sol. Hoards of young people are sitting on the bare pavement, drinking beers casually and having a few laughs with their friends. Little kids are wandering around and playing on the little playground with parents and grandparents watching them while having coffee and tapas at the outdoor restaurant tables. No one is in any real rush. That’s what I love about this place. Citizens here don’t seem to have crazy busy lives like we do back home. They truly value the time with their family and friends, and will sit for hours to interact with one another. It was at that square that Slimbach’s idea that we “sensitize ourselves to the social spaces where local residents do life” (185) really resonated with me. There’s a large white tent with individuals handing out flyers and t-shirts and requesting signatures, all in efforts to help spread the word to support Catalonian secession. This has been a common theme since I’ve gotten here. The Catalonian flag hangs from nearly every residential balcony surrounding my apartment. Everyone here is so proud to be a part of his or her culture. I headed down all the back alleyways to get to the metro. I wanted to see a new part of the city I hadn’t been before. I hopped on the yellow line and took it until I ended up at a stop that didn’t look familiar to me. After exiting the metro station I was met with the hustle and bustle of the city, much different from the small area that I live in. Trees arched over the streets, a green park area with fountains ran down the entire middle of the street. Again I see the locals going about their business without any particular look on their face—I started to notice that citizens don’t always jump up to start a conversation with others. After exploring the area and finding new shops to check out, I headed back to my apartment, but stopped at the local bakery to grab some bread for dinner. I’ve been buying bread from her almost every day here and she has been helping me with my Spanish each day (she’s bilingual). It’s been a cool experience so far in Spain, like nothing I’ve ever experienced before. With each week I feel more and more comfortable with both the language and the culture! I loved Slimbach’s quote “our actual entrance into the community requires that we venture out to observe everyday life, interact with strangers, and slowly absorb an alternative reality” (182). Leaving the security of my home and heading out into the world of the locals really is just so exhilarating. Seeing things in a new light and interacting with locals have helped me to slowly transition away from tourist status. The travelogue I had chosen was called “A Million Steps” by Koontz. It followed his path as he completed the Camino de Santiago pilgrimage. I really liked this book because it not only went on a fairly day by day basis of what he did, but he also went deep into detail as far as how he was feeling emotionally. He focused a lot on his interactions with the many he came across on his voyage. In his reflection chapter, Koontz discussed that he was “much more open to letting people into my life, and more importantly, to learning about their lives” (191). One moment in particular that stands out was when he met a Korean woman already completing the pilgrimage. While neither of them spoke a common language, they cooked food with each other and used hand signals, etc to communicate with one another. By the end of his time with the woman he felt a deep connection with her. I think this connects greatly with my time here abroad and hope I too will be able to have interactions like he did. The picture I chose to depict my walk is a picture of proud Catalonian residents protesting this past week. Catalonia, a region within Spain (that includes Barcelona) is trying to secede from Spain. 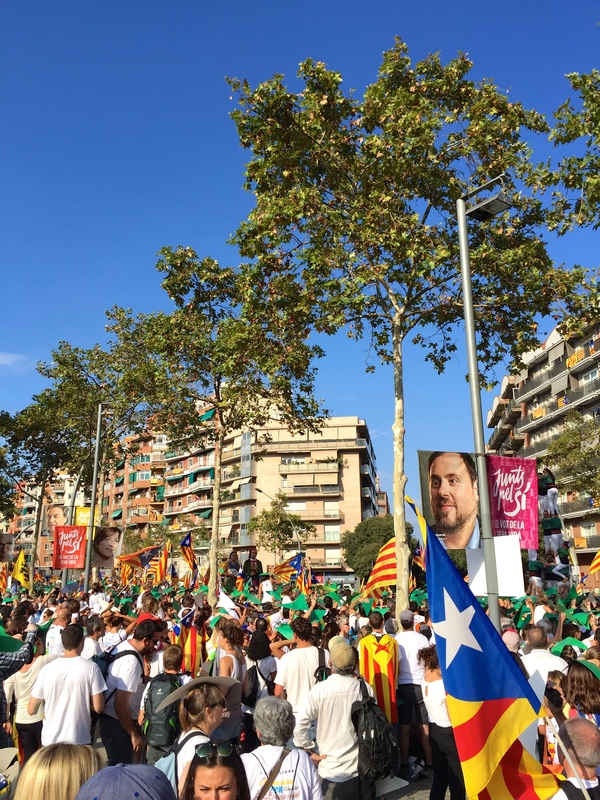 On their national holiday, thousands of people poured onto the streets of Barcelona wearing white t-shirts to display their support for this secession. It was pretty surreal to witness. I think this is a good representation of this walk because it showed me two things – that these locals are proud of their heritage and that I am starting to understand the culture more and feel more comfortable around the locals (I dressed up in a white t-shirt and stood with them in the crowd). It is hard to believe that I have officially been in Barcelona for three weeks. I already feel like Barcelona has become my home and I have explored so much. Coming from a small town in New Jersey and going to a private university in Connecticut, I haven’t really experienced life in a city. Learning how to get around by bus and metro was definitely difficult at first and wandering up and down the streets getting lost was both exciting and frustrating. Last week I decided to take a long walk on a Tuesday after class. My Tuesday and Thursday classes end at 10:40am so I always have those days to adventure in Barcelona. After my class ended I decided to walk toward Parc de Ciudiella which is a huge park I had only heard about. Most people think of Barcelona as solely a giant city, but it has so much more to offer. Because I have no phone plan, all I had to go off of was the metro, street signs, and the people I stopped to ask directions. As I walked, I saw the hustle and bustle of the city on a normal work day. Shop owners keep their doors open attracting customers to come in. I smelled fresh bread being made and seafood from the paella. Every few feet you see a sign for “café con leche” or “tapas” a little market selling fruit and vegetables. In between the streets most restaurants and cafes have outdoor seating. The streets are lined with tables and umbrellas of people eating and drinking outside. Waiters and restaurant owners stand outside the restaurant trying to talk to every person walking by asking them to come in and telling them about the special of the day. As I walked, I notice that all of the streets are filled with people walking. People walk everywhere in Barcelona and if they have to go somewhere far they take the metro. The streets aren’t filled with cars, but are filled by people strolling along or vespas which are a mix between motorcycles and scooters. I want to ride a vespa at some point while I’m here. I ended up getting pretty lost and finding one of the most beautiful places, Arc de Triomf. It is a beautiful arc that was on the way to the park. It was lined with palm trees and was a beautiful entrance way to a part of Barcelona I had never seen before. Even on a Tuesday it was packed with people taking pictures and admiring how beautiful the scenery was. It was so different from the city atmosphere of most of Barcelona. I continued walking away from the Arc and toward the park which was a little hard to find. The park was absolutely amazing. There were people lying on the grass having picnics and so many local people were playing music. It was a whole new world of Barcelona I hadn’t seen yet. It was a huge park and so much to see. There was small lakes in the middle of the park with people in small canoes eating gelato and paddling. Walking around there were magnificent waterfalls and structures inspired by Gaudi. Even further there was huge sculptures of different animals scattered throughout because there is a zoo past the park. As I continued to walk out of the park I passed even more restaurants and debated which one I wanted to grab lunch from. I finally decided on a hole-in-the-wall places called Bo de B because there was a huge line wrapped around the building. The food was amazing. It was like the Chipotle of Spain. You could pick everything that went into your sandwich and it was so fresh. It was so nice to discover this place on my own. The people working at the counter were so friendly and smiled as I tried my best to speak Spanish. From this walk I learned that it takes adventuring out of your comfort zone to discover new things. Traveling alone especially allowed me to take in all of the details such as sights, smells, noises and other people. As Slimbach says, “Our actual entrance into the community requires that we venture out to observe everyday life, interact with strangers, and slowly absorb an alternative reality” (Slimbach 182). Walking around on a Tuesday to observe a normal week day in Spain as well as see amazing sights was such a great thing to do to start my time in Barcelona. The travelogue I read, Steps out of Time, by Katherine B. Soper was about a woman’s journey across Spain. It ties in perfectly with my walk this week because the book is how this woman physically walked through most of Spain and leaves behind her “busy professional life, her cell phone, and her family” to have this adventure (Soper 15). Although her journey on foot is much longer than my afternoon walk, it helped me relate to the book more and the value of traveling on your own to discover things you wouldn’t if you were with a group of people. This picture is from my walk and is one of the fountains I came across in the park. It is inspired by Gaudi’s designs. I chose this picture because it symbolizes my adventure alone and the beginning of my journey in Spain. When I turned the corner and saw how beautiful it was I was amazed and was also thinking about how I found it on my own. Since this walk I hope to have many more discoveries like this one. Travel Log 9: “Stereotypes” by Ben Raymond. Brisbane, Australia. Studying abroad has certainly caused me to reconsider Australian stereotypes. Since Australia holds very little relevance in the American culture, many people, such as myself, don’t take the time to actually learn about the Australian culture – rather, we create an image of a false culture that has been distorted by the media. 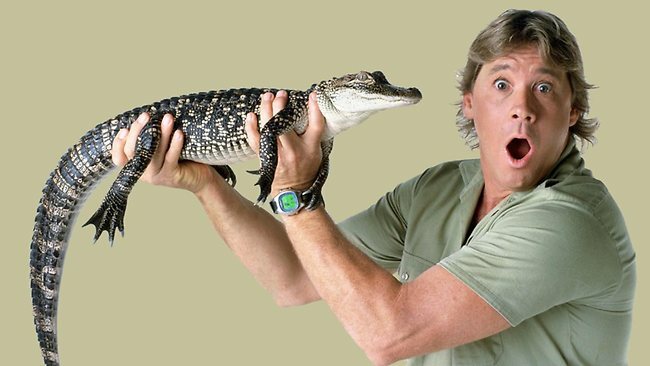 For example, before coming to Australia, the only information that I relied on to build an expectation of what an Australian acts or looks like was based on the crocodile hunter; someone who lives in the bush, wears safari clothes, has a strong and grungy accent, and isn’t afraid to tackle a deadly animal. Of course, upon arriving, my perception of the average Australian changed dramatically. Their accents aren’t as strong as I expected, especially within the major cities. Also, they dress and act very much like Americans (I have yet to see someone wear the iconic safari shirt/cargo short getup). Most Australians will laugh if you bring up how Steve Irwin represents the stereotypical Australian, because this is so far from the truth. Although many of the stereotypes that our culture creates for Australians are untrue, I have observed many characteristics of the typical Australian that can only be seen when living or working with them. As I stated in a previous travel log, I recently got a job at a call center in Brisbane, which allows me to be fully immersed within the culture and have a first-hand experience of how Aussies really act. The environment within the office is unlike any workplace in the states. The first thing I noticed while working at Imperatif is that there is no such thing as punching in or out of work. The employers trust that you will put in the amount of work you said you would do for the week. Also it is very common for the company to provide beer for you while you work throughout the day, which I thoroughly enjoy. Americans don’t have the opportunity to see how valued the drinking culture is in Australia – more so than the Unites States. Since being here, there are very few negative stereotypes I have found about the Australian culture. They are a laid back, loving, overly-generous people. The Australian culture has many ridiculous stereotypes made about the American culture that I found quite funny. One major belief is that every American looks like they came from Texas – yes, the stereotypical American is indeed a gun-slinging cowboy straight out of a 1970’s western film. Although this is far from the truth, I immediately related it to how we think that all Australians look and act like Steve Irwin. When I asked some of my co-workers what the characteristic of a stereotypical American is, they would immediately say that Americans are impatient and entitled. Although I was upset with their response to me, I realized that it was quite true for most Americans. We come from a country of instant gratification and a born sense of entitlement. If an American had to wait at a Dunkin Donuts for more than 3 minutes to get their coffee, they would be quite agitated. Whereas in Australia, it’s not uncommon to wait 15 minutes for a cup of coffee. The picture I have chosen to represent the stereotypical Aussie is of course Steve Irwin. Although Steve Irwin is far from the average Australian, he also holds importance in their culture. Steve Irwin is the first modern television star to represent the face of Australia. Australians say that he represents the classic “bushman,” which is someone who lives in the rough areas of Australia. Although this is certainly not the majority of the country that he represents, Aussies are proud of their strong ties with the unforgiving land. They are seen as people with thick skin, who can certainly swing above their weight. This image portrays the “mindful traveler” because adjusting to a new culture can almost be like a maze; as soon as you start to gain your wit, you can suddenly feel lost and not know which way to turn. When the end, or the “mindfulness” is reached, it’s almost celebratory. The “mindful traveler” is someone who travels into another country or culture with unbiased motives and is completely open-minded when it comes to learning the new culture. They become “mindful” when they accept the new changes and differences with open arms, no judgment and start to use the values as if they had always known them. The new values start to become comfortable and part of everyday life. The “carefree drifter” is someone who travels into another country without seizing new opportunities and experiences with an open mind. They tend to be afraid of trying new things, stay closed off throughout the entire experience and usually end up regretting their time in another country. The “mass tourist” is someone who travels into another country without having learned anything about the culture of where they are traveling. They tend to only go on the labeled roads and more popular places instead of expanding their horizons and engaging in the cultural values of where they are staying. Before I arrived in Ireland, I would say that I was in the “mass tourist” mindset. I was more worried about what to pack and what apps to download to my phone instead of learning about the country. After I arrived in Ireland, I felt like I was stuck somewhere in between “I need to see and experience everything right NOW” and “I will be here for four months and will have time to explore everything.” Considering what I just read in Becoming World Wise, I think I was in between the carefree drifter and the mindful traveler. I would walk around Cork and it never sank in that this would be my “home away from home” for four months until I realized that I should start memorizing directions around the city so I could stop asking for directions and maybe start giving them. After five full weeks, I would like to think that I am now a “mindful traveler.” Surprisingly, I have given someone directions to a specific spot and I ran into them a few days later and they said that they did not get lost! These concepts relate to our working definition of the “global community” because, as students studying abroad, we need to broaden our horizons and experience life living in another country. Learning a new culture is difficult, especially when you are forced to leave your comfort zone to achieve the characteristics of the “mindful traveler.” Although we are redefining ourselves and meshing with the new qualities of the cultures, it can be hard to let go of what we are familiar with, but once we do let go, we are capable of taking in new opportunities everyday. I think the definition of a “global community” changes every time we familiarize ourselves with a new culture. This being said, the definition is ever changing. On page 92 in Becoming World Wise, Slimbach says “Unfortunately, most modern travelers carry a reputation for being outgoing but insular, largely unreceptive to sources of value and virtue outside themselves and their own culture traditions.” This quote describes how the “mindful traveler” should NOT be. The second that the traveler becomes unreceptive to their surroundings is the second that the traveler can give off a “arrogant” vibe. Travelers, in my opinion, should enter into a new culture in a vulnerable state so they can learn as much as they can until they are more familiarized with the knowledge. A challenge that exists to inhibit “mindful traveling” are if you are in a small group of people. Sometimes you may tend to cling to this group and not branch out to meet locals or try new things. Another challenge may be checking in with friends from home or family members too frequently. This can inhibit social experiences as well as cause significant home-sickness and anxiety. A ‘mindful traveler’ is a person that takes time to learn about the culture and history of a place they are traveling in. They want to learn about the community and society that is all new to them. They want to speak with locals and learn as much about the place they traveled to as possible. A ‘carefree drifter’ or a ‘mass tourist’ is a person that just goes along and doesn’t want to learn about the culture, history or community. They do surface level activities that don’t truly show what the city or town has to offer. Being just a tourist does not give the traveler the full experience of where they have traveled to. Our current definition of ‘global community’ talks about how each community has a special connection and also common things that bring them all together. I completely agree with this being here in Ireland. There are many things that are similar to being in America and also similar things to other European countries. I don’t think that the definition needs to be changed because I completely agree with it for the short time that I have been here. mmunity in ways like doing community service or helping the community out. You get to experience the culture in a different way and learn more as well. Slimbach states that, “By exercising cultural appreciation, we open the door for forging rare cross-cultural bonds and alliances based on a common commitment to community betterment“ (Slimbach, 87). You can learn more about cultures and commonalities by being a mindful traveler and experience more. I hope in my time here I get to experience the culture by giving back to the community and speaking with locals who have been through a lot here. People wh o know the history and want to tell their story. Maybe I do this by doing community service through my school or maybe I will find other ways to help out and learn about the culture. I chose this picture because walking through a cornfield might not seem like something you would really want to do. It might not be the place you crave to see or dream about visiting, but it can teach you so much more than all of those places you dream about seeing. That cornfield or a certain park can have so much history and culture that you can learn about. It can teach you the real meaning behind a city and can give you way more than the tourists attractions that everyone talks about. Being a mindful traveler can show a true community and what a city really has to offer. By going beyond the surface level of things you can make connections with the community and locals that wouldn’t be possible otherwise. There are so many great places to visit and things to learn. So many people to help and communities to serve. It’s about going out and doing more not only for yourself, but for others as well. The Mindful traveler; something that anybody in a different country should strive to be. While abroad, I have made strives to be this kind of traveler and narrow the distance, as Slimbach says, between “us” and them”. In the example he used of the volunteers from college in North Thailand, Slimbach shows how the students/mass tourist were more likely to write about what they learned about or did for the locals. That’s like a tourist only experiencing abroad through their camera lens. What is that actually worth compared to the experience of the country? One should not think about what they have done for the culture but what they did with the culture. A mindful traveler doesn’t step back and watch but, experiences and engages in the culture they are in. A mindful traveler also integrates into that culture, while a mass tourist keeps their native customs with them and doesn’t learn from the different culture. I have found myself integrating into the culture of Ireland through their dialogue. I have been retaining a lot of phrases that I have heard others say, “cheers” has been one of my favorite additions! A traveler abroad should also make sure not to fall into the category of a carefree drifter, or one who travels for the sake of traveling. These travelers never fully become a part of the culture they reside in and in my opinion wastes a lot of the opportunities they have abroad. They usually travel place to place to witness, like the mass tourist, but not fully engage. Again this is not how the experience should be done. It should be done by going out and doing instead of standing back and witnessing the beauty in front of you. When a traveler just stands back they are not contributing to the global community, they are abstaining from it. A mindful traveler contributes and enlarges the community, adding their experiences from life and combining them with the experiences of those in the community. That’s why I think the definition we came up with in class should be changed. We said that a global community is comprised of all living things who make up smaller communities that are conjoined by the desire to achieve human rights. Now back in the Spring I thought this definition was as good as any, but now that I am in a community with a lot of various other communities interacting I see it differently. I think the new definition of a global community should be, a group of people from various smaller communities throughout the globe who interact in an area to gain new experiences. This new definition notes the interaction aspect within the community, which is a huge part of it in my opinion. As for the interaction of mindful traveling and the global community, I think a person intentionally in the global community needs to be a mindful traveler. To be able to offer the most to those around, a global community needs go-getters and conscience people. A global community would not work well if it was made up of carefree drifters, who don’t have much to offer, or mass tourists, who merely want to record and not experience. I didn’t want to fall into being a carefree drifter or a mass tourist, so I have started participating as much as I can within my college community. I have joined the boxing, soccer, and table tennis clubs as well as many other societies at University College Cork. This will help me in being a mindful traveler because I will not only record my experiences but also contribute and do things with the people in my community. 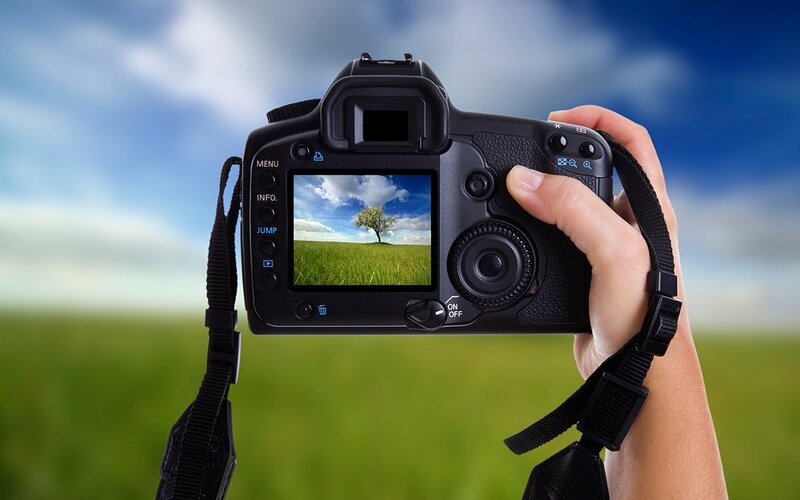 My picture this week is of a camera taking a picture. A mass tourist or a careless drifter would probably take a lot of pictures and be on their phones to show where they are and what they’re doing. A different country shouldn’t be experienced behind the lens of a camera; in fact this almost ruins the occurrence. The more you put in the more you will get out of traveling and that’s why a traveler needs to go out and do things instead of limiting themselves from behind a camera. I decided to do my walk in Byron Bay, which is home to the most eastern point on the Australian mainland. There is a pathway there that leads all the way to a very iconic lighthouse, one where you can see the ocean, the bay and the mainland from one vantage point. I decided to walk with my two friends I had traveled to Byron with, along with a guy we met in our hostel, who was from Sydney. He had been living in the hostel for 6 months, and had become one of the locals. So he took us on the trail to the lighthouse, which was about 4 miles away. On the way through the small town of Byron, I noticed how relaxed everyone was. It was my first full day there so I had not fully experienced it yet. Everyone was wearing surfing attire with brands such as Billabong, Ripcurl and Hurly. Many of the guys had long hair, looking like picturesque surfers. The shops in Byron are very trendy and have some really cool, really unique designs mixed in with the various surf shops. Once we walked out of byron we passed numerous beautiful beaches on the walk up to the hill where the lighthouse was located. Every single beach was filled with people surfing, relaxing and just loving life. This was the Australia I had come to see. While I enjoy my location in Broadbeach, Byron Bay had the very laid back, typical Australian attitude I was looking for. We walked up and up this hill until we got to the lighthouse, situation right next to the most eastern point in Australia. There is a small sign that lets you know you are at the end, and it is a great feeling of accomplishment when you reach it. It is a very strange feeling to know that you are at one of the ends of a continent, let alone that continent not being your own. The view from lighthouse was beautiful. If you looked to the left you saw the endless ocean, to the right was the beautiful Byron Bay, straight ahead was a picture perfect white lighthouse and behind us was a town hidden in the trees. It was truly one of the most amazing panoramic views I have ever experienced. At that moment, I truly appreciated being abroad and reminded myself to not take my situation for granted. On the walk down, our local guide introduced us to his Australian friends and we adventured a bit more with them. Just having the opportunity to talk to locals helped me gain insight into the way they lived. From what I gathered it seemed like they all had jobs that provided with them with the bare minimums, such as the hostel room and drinking money. They really seem to play much more than they work, which I don’t neccesarily think is a bad thing. In America this lifestyle would be frowned upon, but being there and experiencing the way they lived really opened my eyes to this new lifestyle and now I really do understand why people live this way. This week my picture is of the Eastern most point of Australia which I took while I was in Byron Bay. It was really cool to look out into the ocean there and think “wow, this is the end of Australia”. I have made it from the east coast of America to the east coast of Australia, and my journey is just beginning. If you look to the right in the picture you can see what appear to be small waves crashing on the rocks. When we got closer we realized that they were actually huge waves. There was one rock in particular that the waves were crashing onto, but it was pretty dangerous to get onto the rock from where we were. My friends and I contemplated jumping across a whitewater river that separated the rock from us for sometime. We ultimately decided that it was worth the risk and I am very glad we did it. Even though I know it was very dangerous, being up that close to the crashing waves was one of the coolest and most rewarding experiences of my trip thus far. This will remind me that I am here to conquer my fears and live life to the fullest.